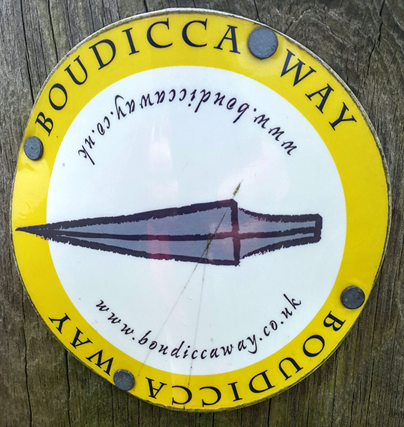 This is stage one of my hike along the Boudicca Way. It was a pleasant day in June when Smithy-dog and I set out to hike the first stage of the Boudicca Way. We took the train to Norwich and on arrival quickly managed to lose ourselves in the maze of streets to the south of the station. After some faffing about we eventually reached the outskirts of town, though it took us another half hour of trudging along a busy and dusty road to arrive at an actual countryside footpath. The Way is a gentle mixture of lanes, small woods and fields, running up and over gentle, low-lying hills and through quiet Norfolk villages. It’s generally well marked with signposts. 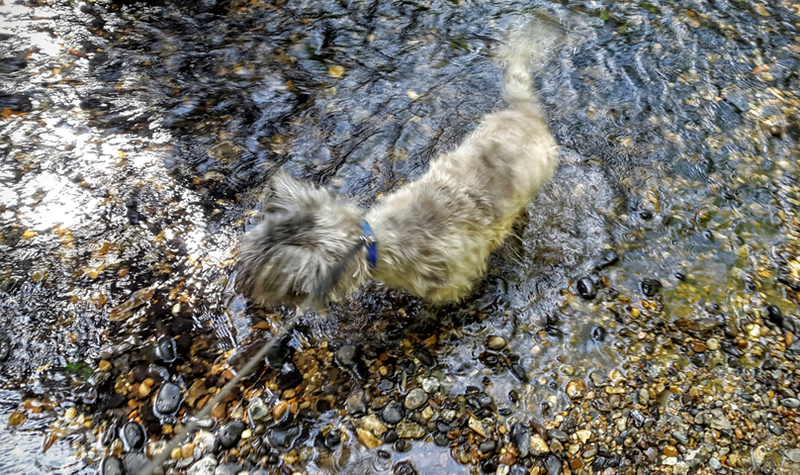 One of the highlights of the hike was encountered at the village of Shotesham where we came across a small stream called the Beck, a tributary of the river Tas. By this time, Smithy and I were both hot and sweaty and enjoyed the opportunity to paddle in the sparkling shallow waters. We left the Way at Saxlingham Nethergate and walked a mile or so to Newton Flotman where we hopped on a bus back to Norwich. 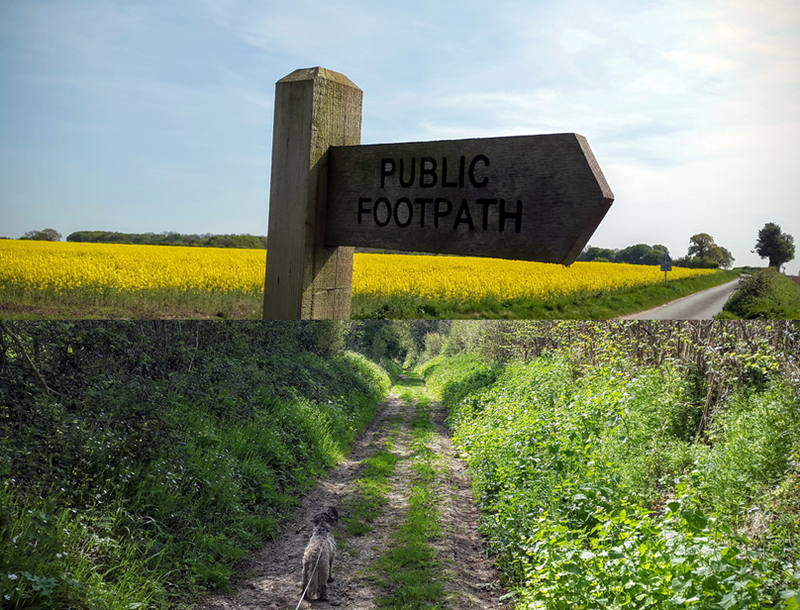 All-in-all a relaxing day’s hiking in the lovely Norfolk countryside, we’re very much looking forward to stage two.